type40 - Doctor Who news and views: THE FIVE(ISH) DOCTORS REBOOT COMING TO DVD! Colin Baker has announced that The Five(ish) Doctor's Reboot will receive an official release on DVD. 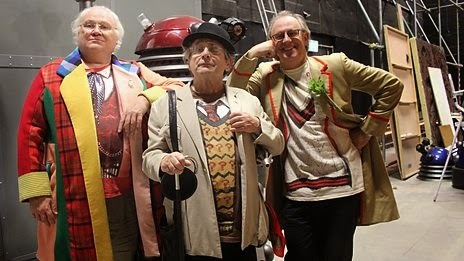 The 50th anniversary 'alternative' special follows the humorous tale of 'classic' Doctor's Colin Baker, Sylvester McCoy and Peter Davison (who also wrote and directed the special) as they attempt to find a place in the official 50th Anniversary adventure, The Day of the Doctor. 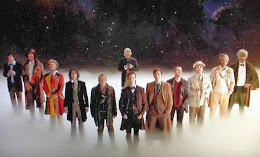 A welcome treat to the fans, this special provided a much more comically-driven look at Doctor Who's 50th Anniversary.